Full and sunny days of Miami and Haiti, shawl in cotton, linen and rayon. Location: Savvy Gents, located within Savvy Chic. Hong Kong Blend, shawl in wool and linen. 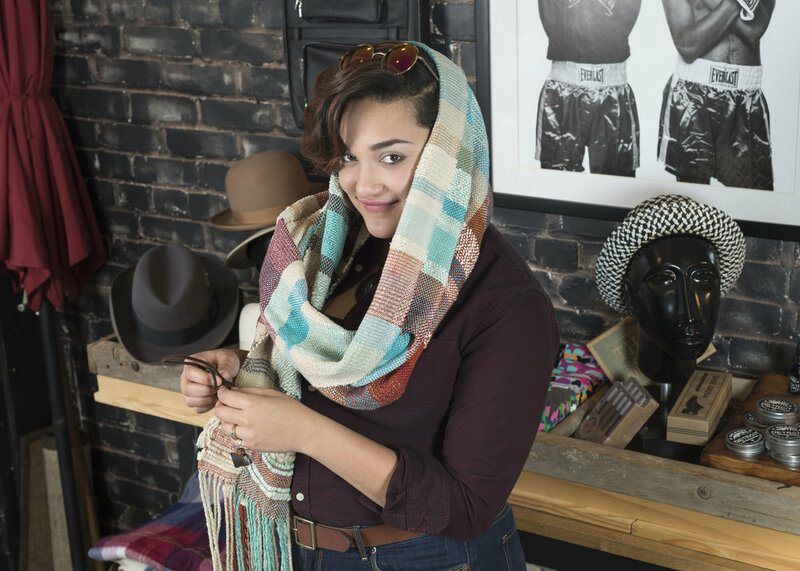 Graffiti and New York nightlife, shawl in cotton and rayon. Classic Cocktails and Art Deco, scarf for tuxedo in mercerized cotton. Black on black on black, shawl mercerized cotton and textured rayon.